Home › Latest News › Enter our 'Where's Ty' Instagram Competition and Stand a Chance to Win! Enter our 'Where's Ty' Instagram Competition and Stand a Chance to Win! If you think you are true Capetonian and know your city inside out, we challenge you to guess ‘Where’s Ty’? Over the next few weeks, we will be posting a picture of one of our Harley-Davidson® motorcycles in Cape Town. If you correctly guess the area, you stand a chance to win a Harley-Davidson® T-Shirt! All you need to do is like our Instagram Page - @harleycapetown, comment with the location and tag a friend to stand a chance to win. The promoter is Harley-Davidson® Cape Town whose registered office is at 2 Hospital Street, Harbouredge Building, De Waterkant, Cape Town, 8005. The competition is open to anyone aged 16 years or over except employees of Harley-Davidson® Cape Town and their close relatives and anyone otherwise connected with the organisation or judging of the competition. There is no entry fee and no purchase necessary to enter this competition. Person’s may enter from the time the photo is posted until the winner is announced and the next photo is posted. Entries will open and close according to the post. No entries will be accepted after the closing time. The prize is as stated: a Free Harley-Davidson® T-Shirt. This is to the approximate value of between R699-R819 depending on design and size. The prize is not transferable and cannot be exchanged for cash or another item. This prize is valid for 2 weeks from the time the winner is appointed and need to be collected at the promoter’s premises. Prizes are subject to availability and we reserve the right to substitute any prize with another of equivalent value without giving notice. Winners will be chosen and verified by Promoter and or its agents at their own discretion. The winner will be notified by email and/or DM on Instagram. The winner agrees to the use of his/her name in any publicity material, as well as their entry. Any personal data relating to the winner or any other entrants will be used solely in accordance with current data protection legislation and will not be disclosed to a third party without the entrant’s prior consent. Harley-Davidson® Cape Town will judge the competition and decide on the winner each week, which will be picked at random from all complete entries via Instagram. Harley-Davidson® Cape Town’s decision as to those able to take part and selection of winners is final. No correspondence relating to the competition will be entered into. The entrant must be following @harleycapetown on Instagram in order to enter. 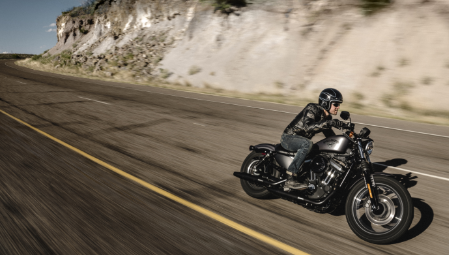 Harley-Davidson® Cape Town shall have the right, at its sole discretion and at any time, to change or modify these terms and conditions, such changes shall be effective immediately upon posting to this webpage. Harley-Davidson® Cape Town also reserves the right to cancel the competition if circumstances arise outside of its control.